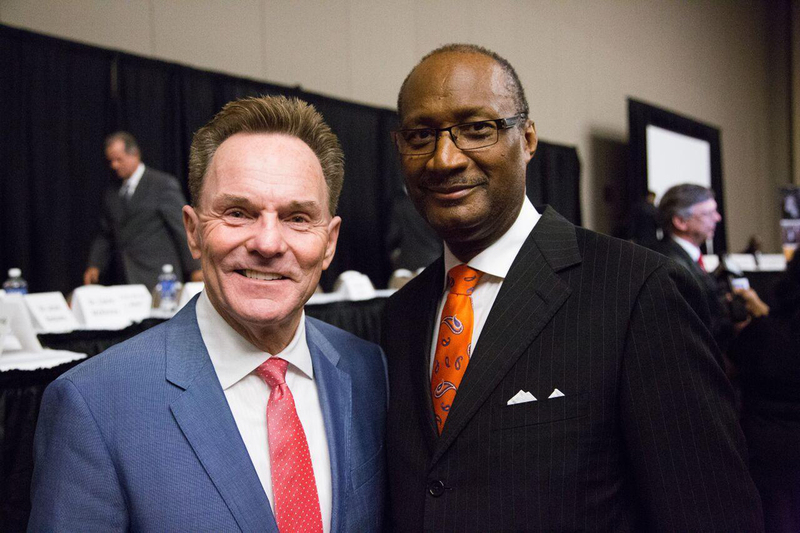 NASHVILLE (BP) — Southern Baptist Convention (SBC) President Ronnie Floyd and National Baptist Convention (NBC) President Jerry Young authored a joint CNN editorial Nov. 9 urging pastors to proclaim racism a sin and initiate conversations on racial unity. Ronnie Floyd (left) and Jerry Young urge pastors to break racial barriers and encourage unity across faith partners. Cross Church photo. Floyd and Young urged racial reconciliation at Mission Mississippi’s annual racial reconciliation summit Nov. 4. Floyd, who serves as pastor of Cross Church in northwest Arkansas, and Young, pastor of New Hope Baptist Church, Jackson, Mississippi, continue to emphasize the leadership role of pastors in racial reconciliation. This entry was posted in Home and tagged Jerry Young, racism, Ronnie Floyd, unity. Bookmark the permalink.